As of tomorrow, the starter PlayStation VR PlayStation Camera Bundle will be $299, which is a hundred dollars less than the original $399 retail price. That means, the PlayStation VR Doom VFR Bundle will be $299.99 (down from $399.99), while the PlayStation VR The Elder Scrolls V: Skyrim VR Bundle will be $349.99 instead of the original $449.99. Similar price cuts will go into effect in the UK, Europe and Japan. 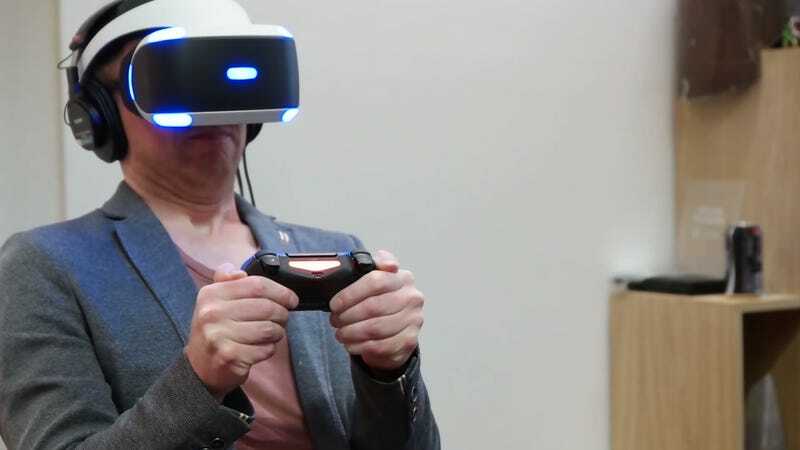 In case you missed it, read Kotaku’s PlayStation VR review below.